The renowned and beloved Christian preacher and New York Times bestselling author of An Altar in the World recounts her moving discoveries of finding the sacred in unexpected places while teaching the world's religions to undergraduates in Baptist-saturated rural Georgia, revealing how God delights in confounding our expectations. Christians are taught that God is everywhere--a tenet that is central to Barbara Brown Taylor's life and faith. In Holy Envy, she continues her spiritual journey, contemplating the myriad ways she encountered God outside of the church while teaching a college course on the world's religions. In her interfaith class, Barbara introduces her students to other religious traditions and accompanies them on field trips to a variety of venues of worship. Both she and her students ponder and debate how the knowledge and insights they have gained raise important questions about belief, and explore how different practices relate to their own faith. Inspired by these intellectual and spiritual discussions, Barbara turns once again to the Bible for guidance, to see what secrets lay buried there. 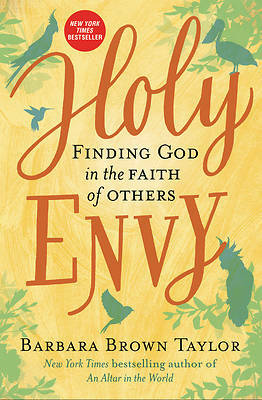 Throughout Holy Envy, Barbara weaves together stories from her classroom with reflections on how her own spiritual journey has been challenged and renewed by connecting with people of other traditions--and by meeting God in her communion with them. At the heart of her odyssey is her trust in God and knowledge that God is always with her. Barbara contends that it is the Lord who pushes her beyond her comfortable boundaries and calls for her to "disown" her version of the divine--a change that ultimately deepens her relationship with both the world and with God.